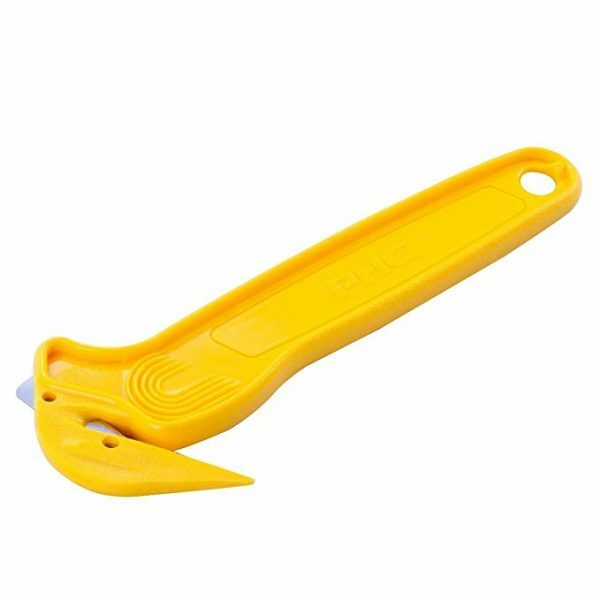 The Raze Disposable Safety Cutter with tape splitter has 3 button activation for right or left handed, and top power cuts. 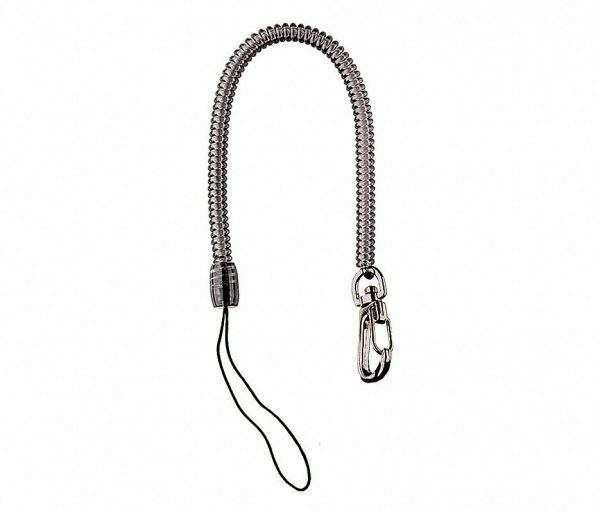 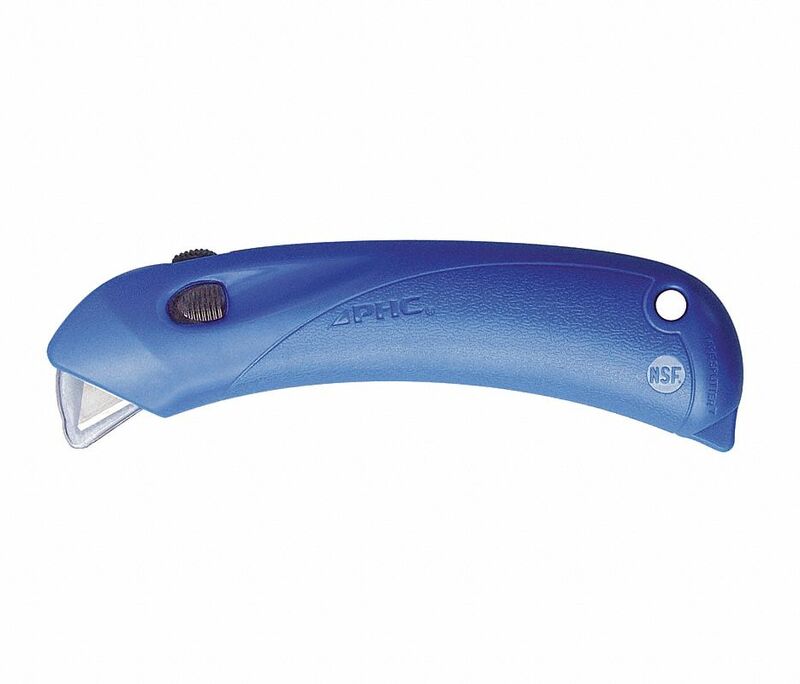 The safety spring-back designed clear safety guard protects users from the blade. 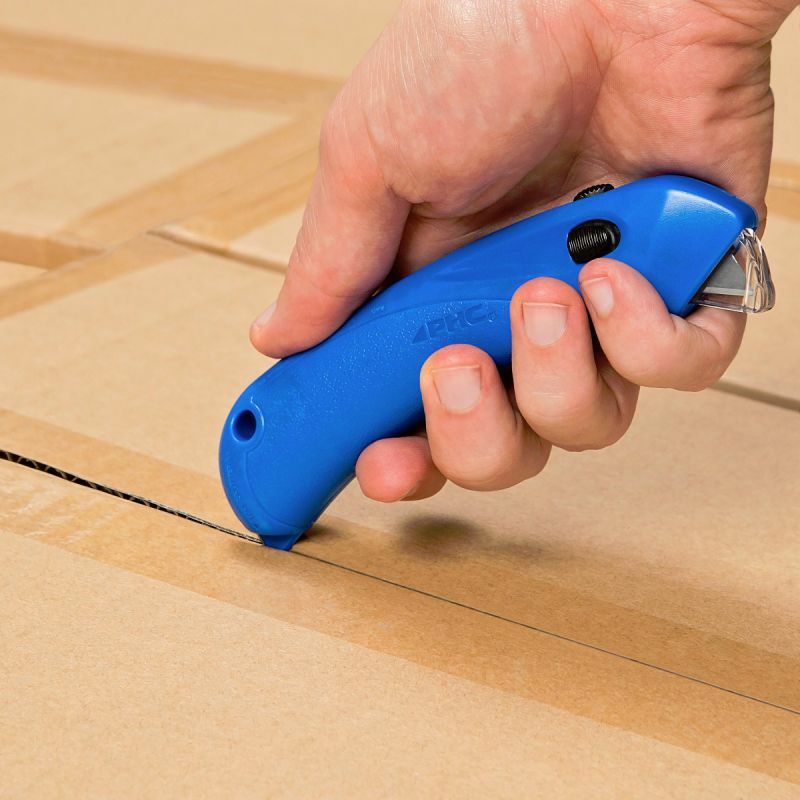 It automatically relocks after each cut. 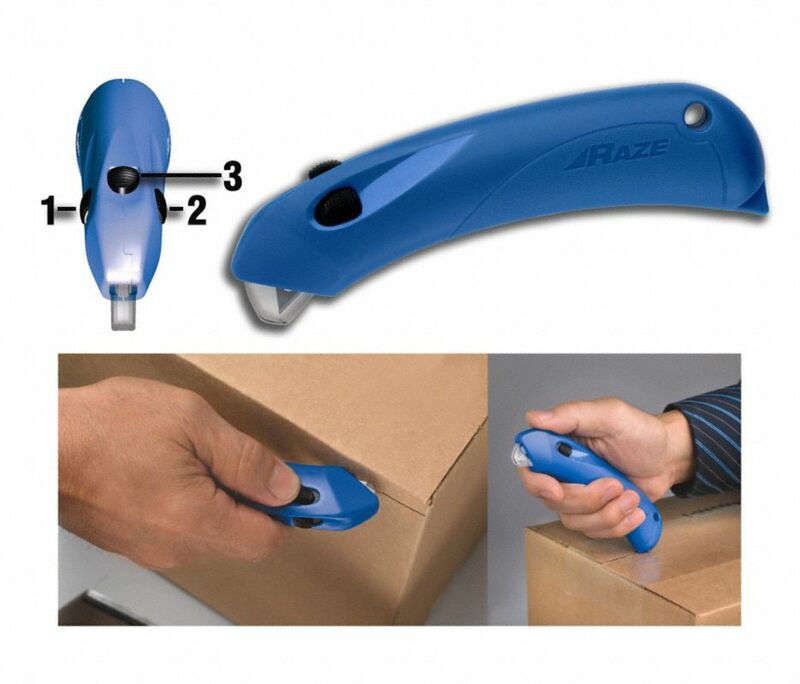 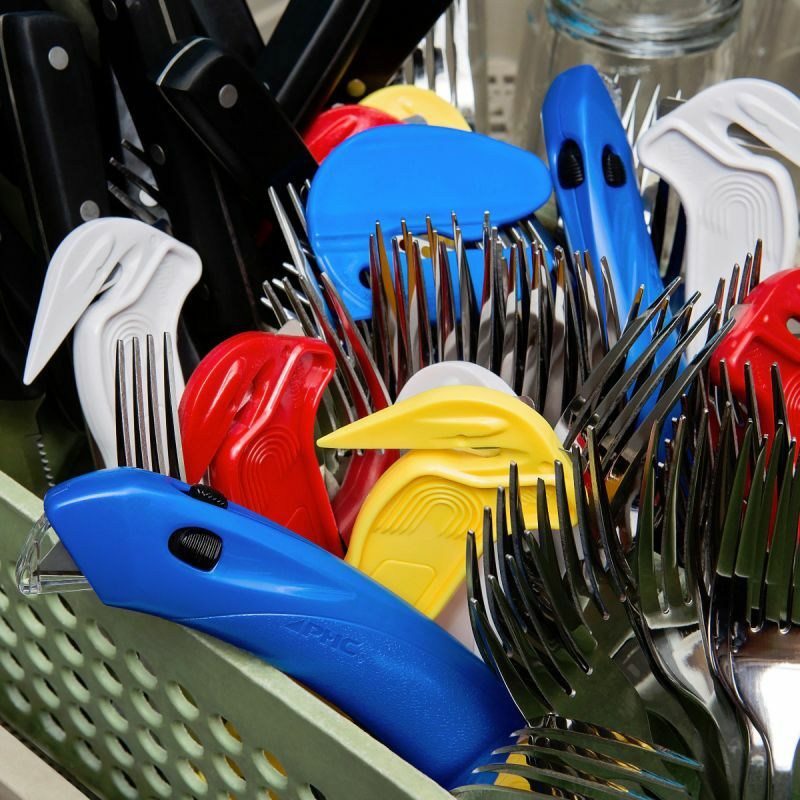 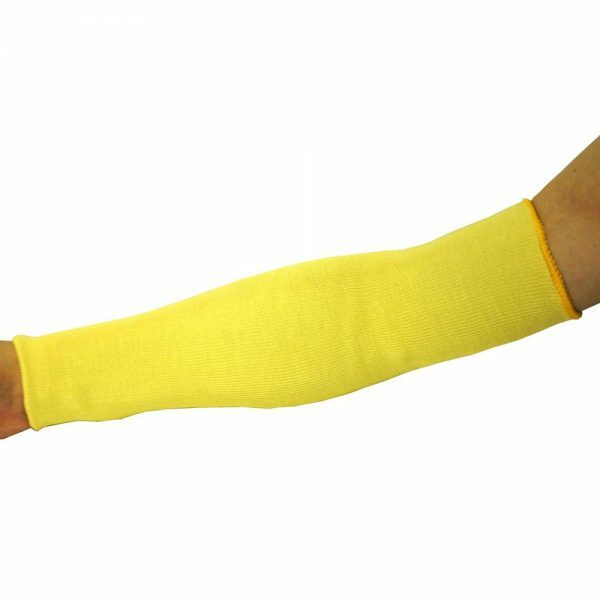 Ergonomic handle reduces fatigue. 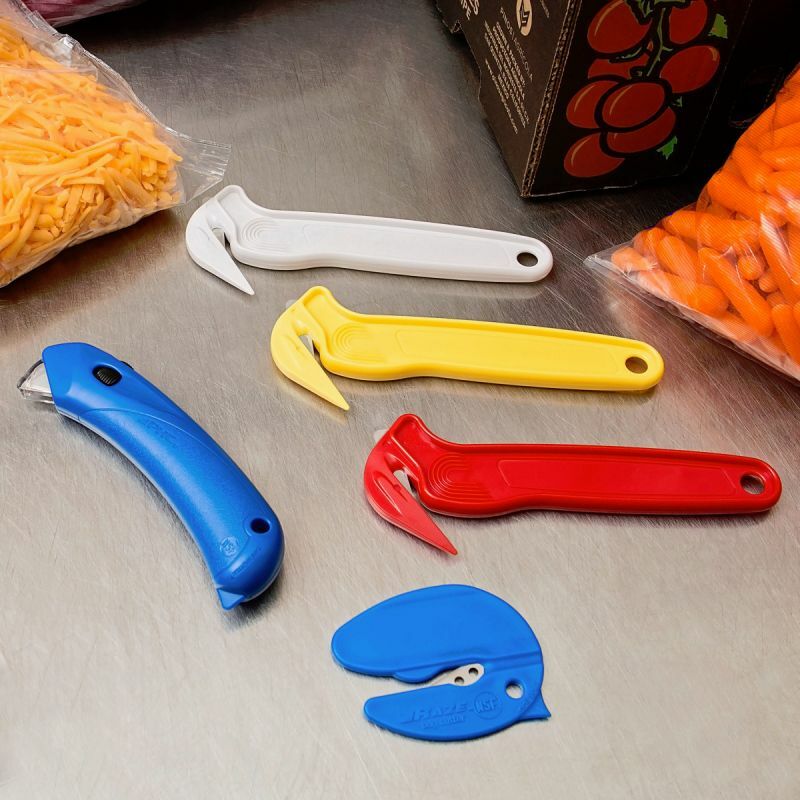 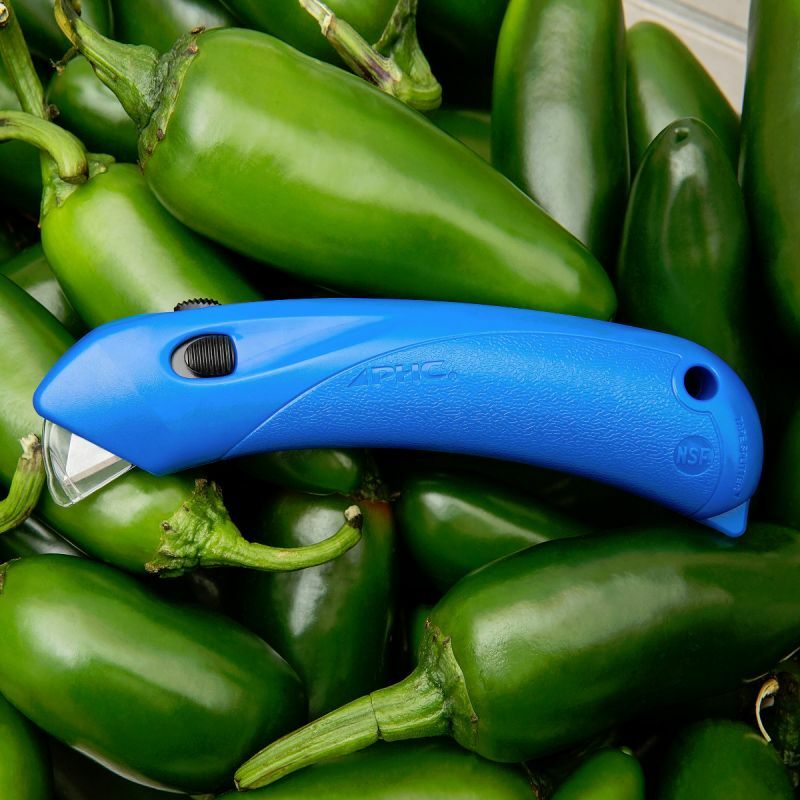 The Raze safety cutter can be used for a variety of safe cutting applications from food service, restaurants, including general purpose cutting. 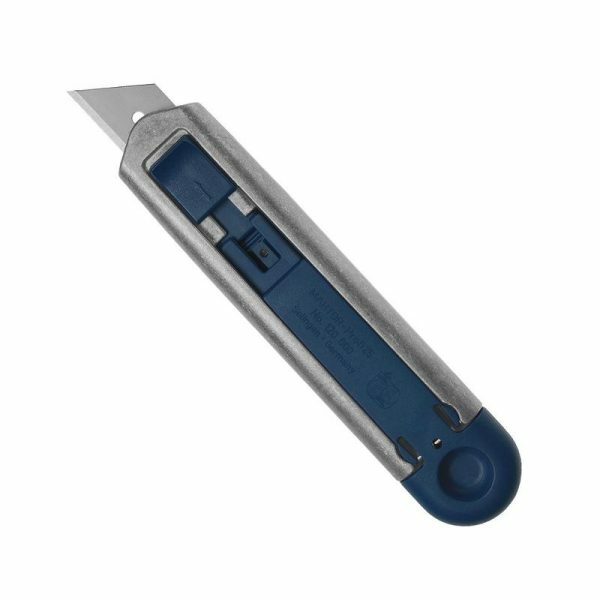 The blade is fixed! 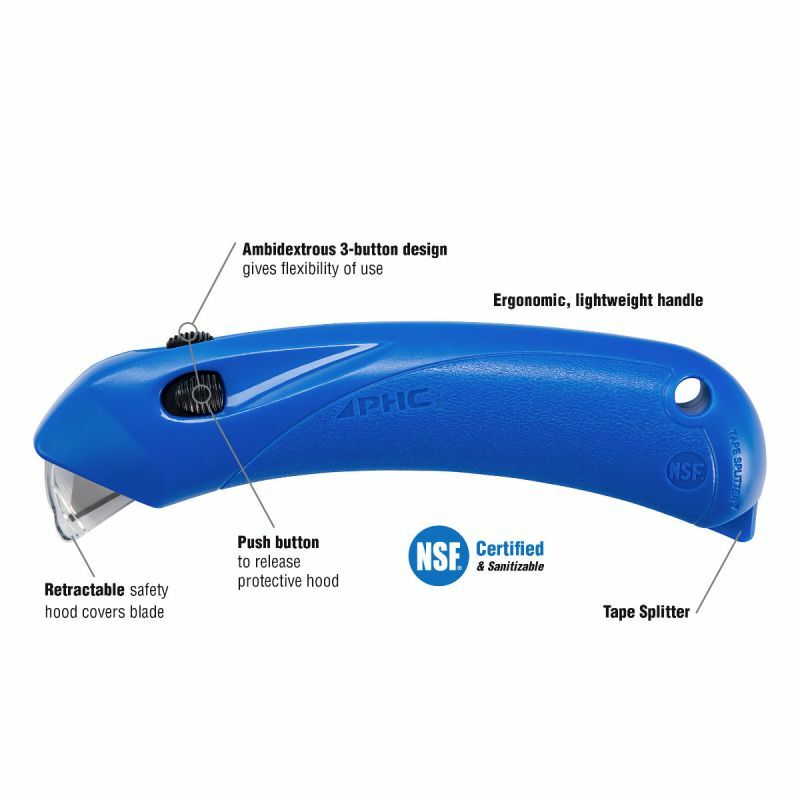 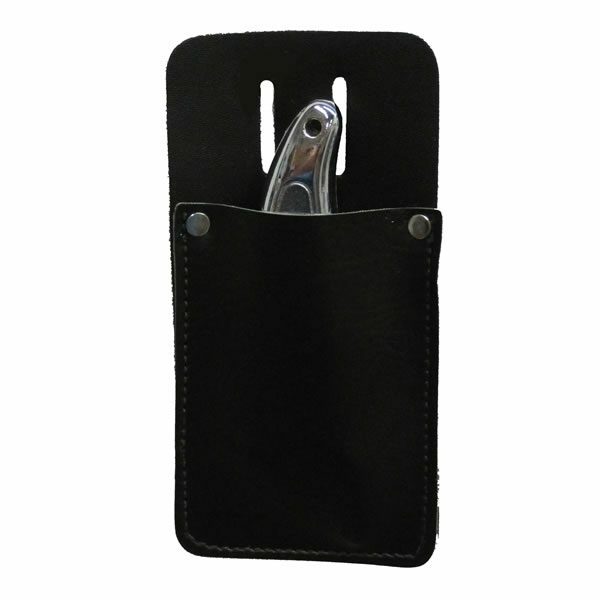 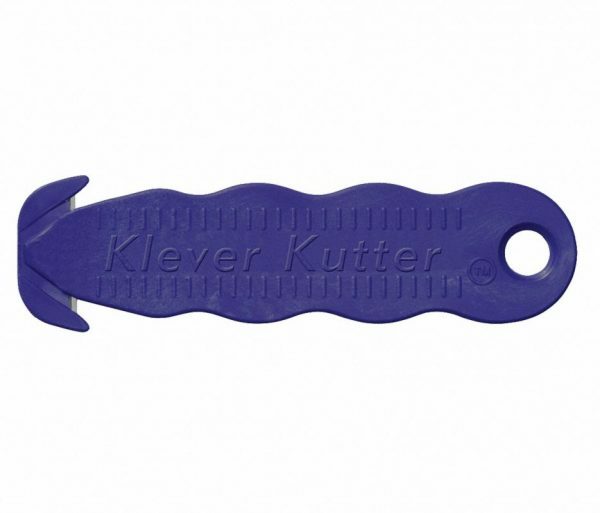 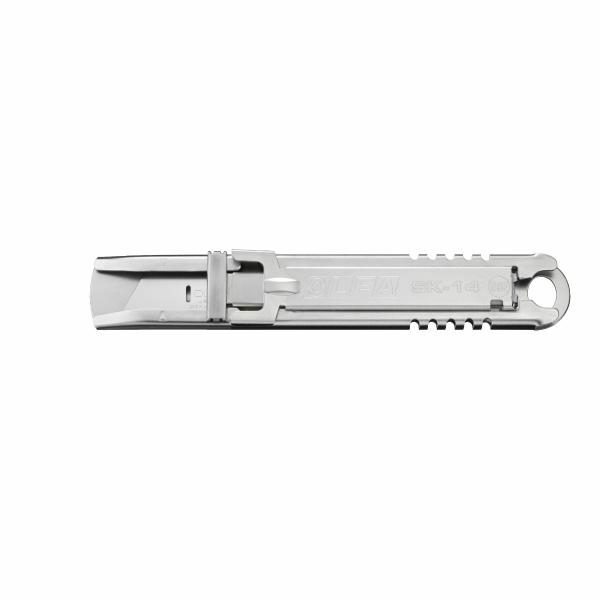 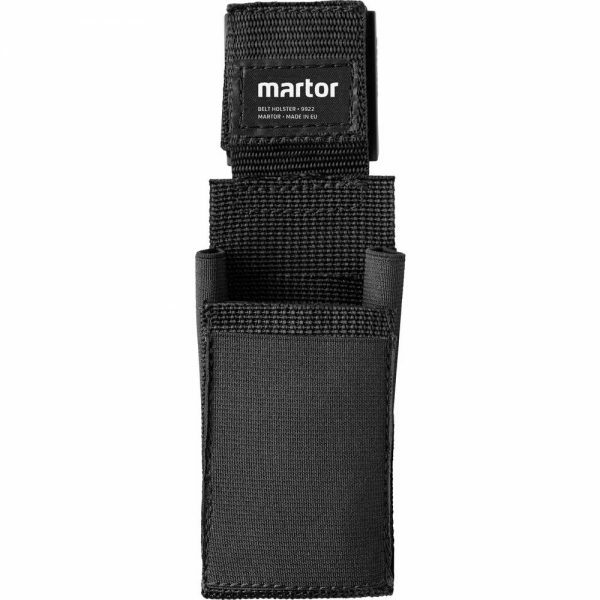 Functions similarly to a standard utility knife but with the added safety of the clear locking guard. 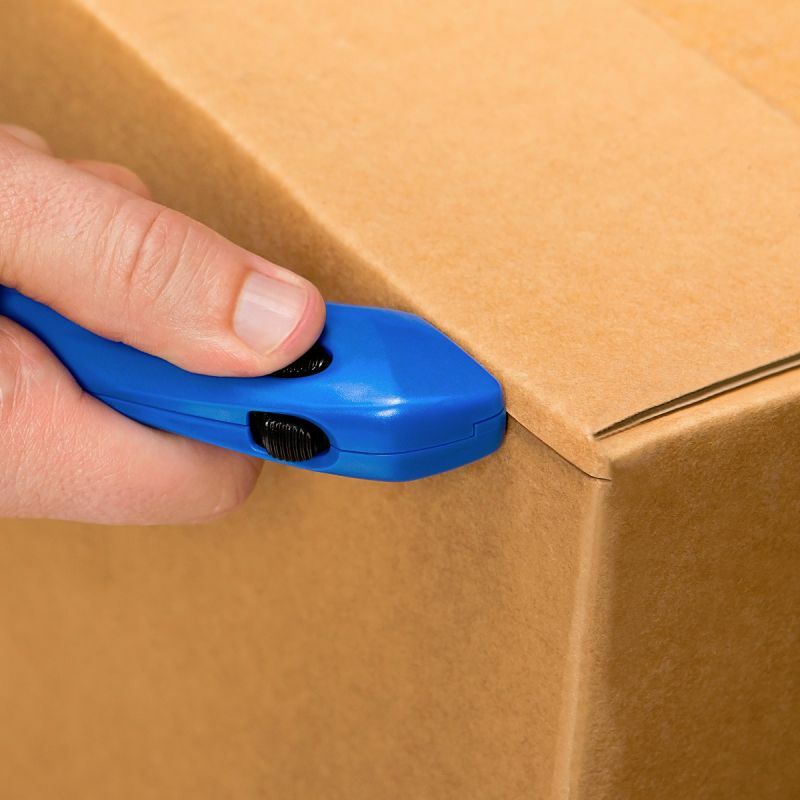 Excellent at opening cardboard boxes.